Wader Quest: See? We aren't making it all up!! See? We aren't making it all up!! 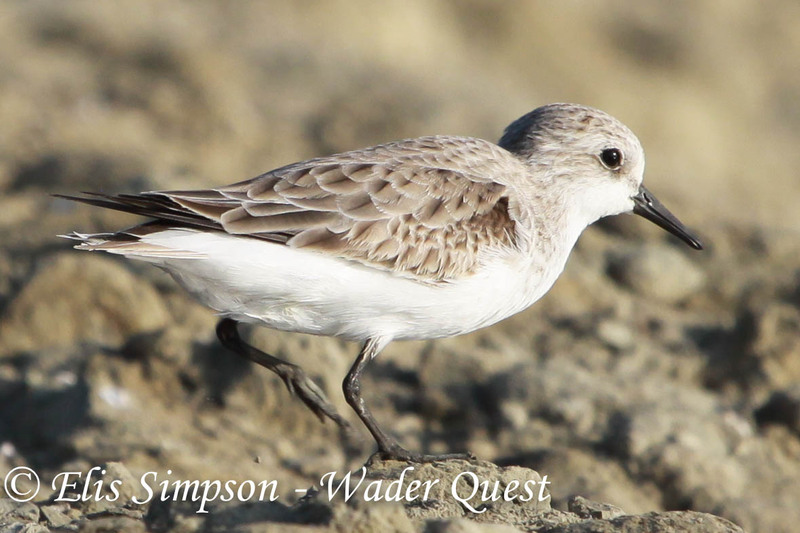 The IUCN red list has just been updated, and for wader fans there is continuing gloom and doom in terms of the categorisation of wader species. Great Knots Calidris tenuirostris and Far Eastern Curlews Numenius madagascariensis have both been shifted from Vulnerable to Endangered. Great Knot Calidris tenuirostris: Broome WA, Australia. These two species use the East-Asian Australasian Flyway and are, as a result of the dreadful intertidal zone destruction in the Yellow Sea, under increasing pressure. This is due to over 65% of the available intertidal habitat, that they rely on to feed and rest on stopovers as they migrate, being lost in the last 50 years. That which is left is being swallowed up at a rate of about 1% a year for agriculture, aquaculture and other developments; so there is not much time left to turn the tide (if you'll excuse the deliberate pun). Far Eastern Curlew Numenius madagascariensis: Cairns, QL, Australia. This an acute problem that needs a fast solution, it cannot be left to drag on for years like the battles to stop deforestation. It is now or never. These same problems are also affecting Red-necked Stint Calidris ruficollis which migrates along the same flyway. These more common birds have been upgraded from Least Concern to Near Threatened. Red-necked Stint Calidris ruficollis: Pak Thale, Phetchaburi, Thailand. Some more widespread wader species such as the Bar-tailed Godwit Limosa lapponica, Red Knot Calidris canutus and Curlew Sandpiper Calidris ferruginea, are also affected but these species are also showing signs of decline in other regions such as Africa and the Americas. All three of these species have also gone from being considered of Least Concern to being Near Threatened. Red Knot Calidris canutus (and Short-billed Dowitcher Limnodromus griseus): Galveston TX, USA. Two European species have also been upgraded to Near Threatened. Eurasian Oystercatcher Haematopus ostralegus and our beloved Northern Lapwing Vanellus vanellus. These two have suffered not so much from intertidal devastation, but from overfishing of shellfish, in the case of the oystercatcher, and from a loss of breeding meadows in the case of the lapwing. Northern Lapwing Vanellus vanellus: RSPB Titchwell, Norfolk, UK. If only I were able to counter this with some good news, but alas I am unable to do so. This worrying trend for species to be declining, especially wader species gives substance to our assertion that all is not well and sadly leaves us with an 'I told you so' feeling.